Upset about Big Brother's ban on incandescent bulbs? Buy a heatball! Many of you know that in a few days the federal ban on conventional incandescent light bulbs will go into effect. And while House Republicans included a provision in a recent spending bill that will block funding for the ban's enforcement, it's said that it will have little effect; manufacturers have prepared for the new standards and will no doubt abide by the law. So does this mean we'll be forced to buy more expensive LED (light emitting diode) or CFL (compact fluorescent light) bulbs, the latter being those squiggly things said to be loaded with mercury? Not if we follow the lead of German businessman Siegfried Rotthaeuser. After the European Union banned conventional incandescent bulbs, Rotthaeuser's entrepreneurial spirit was sparked. He started selling another product: heatballs. What's a heatball? According to this Teutonic Knight of Freedom and Light, it is a "small heating device" that compensates for the loss of heat a home experiences when conventional light bulbs are swapped for more energy efficient ones. Here is an image of this novel new product. 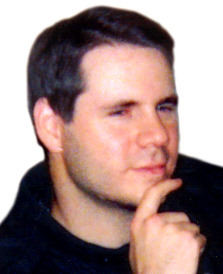 At his English-version website, Rotthaeuser points out the convenience of his invention, writing, "A HEATBALL® is not a light bulb, but fits into the same socket!" He then touts the new product as "The most original invention since the electric light bulb!" and explains, "Although a heatball is technically very similar to a light bulb, it is a heater rather than a source of light." Elaborating, he also states, "By using heatballs, the heating effort of a normal house is effectively assisted. 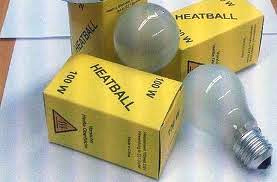 A heatball is a source of heat. Or do you use your toaster as a desk lamp?" A businessman with a conscience, however, Rotthaeuser also believes in truth in advertising. He thus is forthcoming about a certain unintended byproduct of his heating element, writing, "During its use as a heater, HEATBALLS have an unavoidable emission of light in the visible spectrum." Pity that. But if heatballs are anything at all like incandescent light bulbs, they should be very efficient little space heaters, indeed. So maybe you believe that the ban on conventional incandescent bulbs is far afield from the government's rightful scope; perhaps you fret about how such a regulation is blatantly unconstitutional when instituted by the feds. If so, I can't help you. But if you have a tropical plant or pet hamster that needs a space heater — or if you simply want to save on oil or gas used for heating during the winter — buy some HEATBALLS®. And, hey, something just occurred to me. With heatballs' unintended byproduct of light, you just might be able to forego buying those LED and CFL bulbs.